My apologies for the lack of posting over the last few days. I wish I could say that it was because of something interesting…but it’s not. 😛 I’ve been trying to get ahead in my classes in the hope that I can finish some of them before I go back to the U.S., which would mean NOT having to haul my books back with me. I couldn’t leave you guys hanging any longer, though, so it’s time for another look into the wonderful world of British sweets! 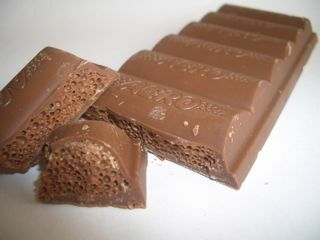 Remember what I said about the Flake bar in my last blog on candy? I didn’t particularly like them coming into this trip because of one I had when I was in London in 2009. I didn’t like the crumbliness, and I didn’t like the taste. It just wasn’t sweet enough for me. Well, I think I owe the Flake an apology, because upon further review, I think it was a Twirl that I had and didn’t like, not a Flake. The Twirl comes in packs of two “fingers” (think Twix, but skinnier). It’s crumpled up inside, like the Flake, and is covered with a coating of chocolate. 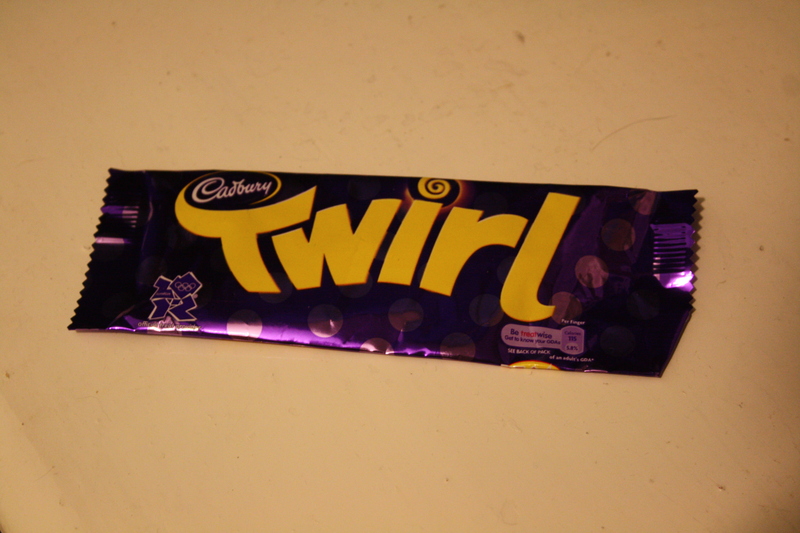 I didn’t like the Twirl any better this time around, and I’ll definitely be giving it a pass next time. The Fudge was a nice surprise for me. They’re small (again, think of one section of a Twix, but smaller), and cheap, but very good. There’s a chocolate coating on the outside, and a creamy, fluffy center inside. 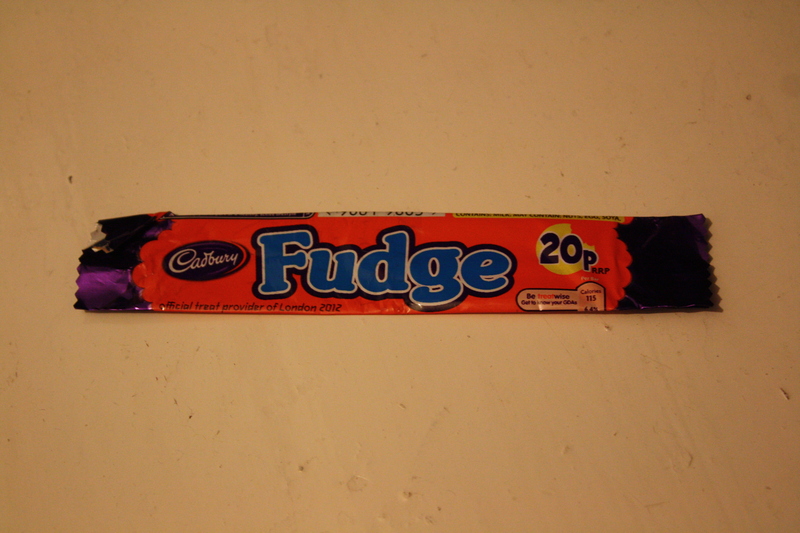 It’s not fudge as you an I might think of it, though. It actually tastes more caramelly, or maybe vanilla-y, or even mapelly (don’t you love my invented words? 😀 ). At any rate, it isn’t chocolate. The Fudge still gets a thumbs up from me, though! You know the chocolate-covered caramels that come in big boxes of chocolates? The ones that are so chewy that they’re pretty much guaranteed to break your teeth and/or pull out a filling or two? Let’s say someone took two of those, softened them up a bit, flattened them out, and loosely braided them together. 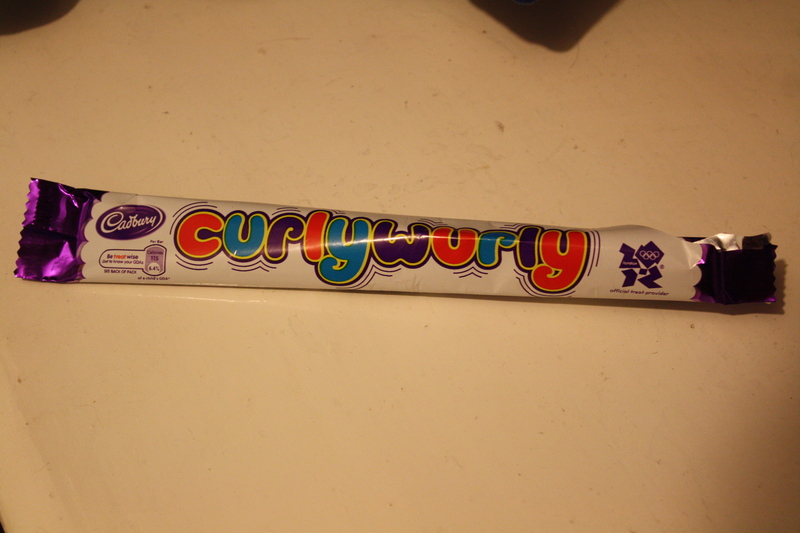 That’s what a Curlywurly is like. 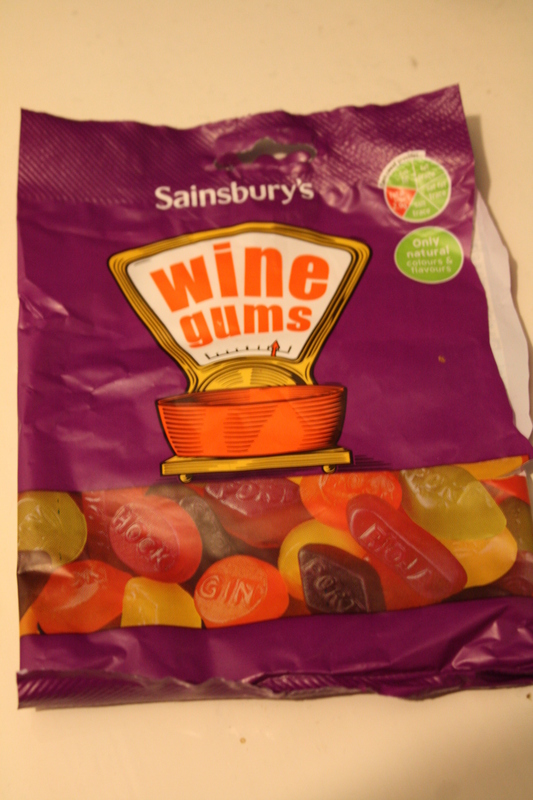 The taste is identical, but luckily, the Curlywurly isn’t tough enough to cause major dental damage. 🙂 I liked this one, but I think I would have enjoyed it more if I were more into caramel. So far, I’ve seen regular old chocolate Aeros, mint Aeros (green center instead of brown) and the one that inspired me to give the Aero another try….the orange Aero (orange center). I LOVE orange flavored chocolate, and really enjoyed the orange Aero. The texture takes a bit of getting used to, but the taste is fantastic! 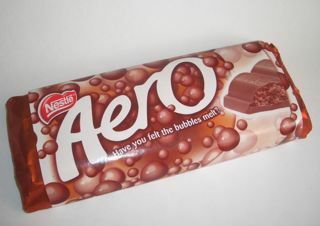 If you’re in the states and you wanted to try something similar to the Aero, Hershey’s had just started selling their own aerated chocolate right before I left. It’s….not great, to be honest. In fact, I’d be surprised if they’re still being sold when I’m back home.